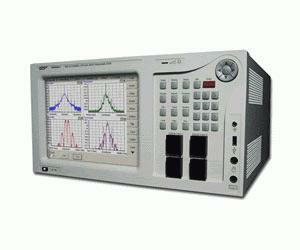 The AP2540A series offer the most economical solution when more than one optical spectrum analyzer is required. Based on an interferometric principle, the AP2540A series achieve a 0.16pm resolution (20MHz) at an absolute wavelength accuracy of +/-3pm and has a close-in dynamic range of 60dB at 10pm. Standard configurations range from 2 up to 6 channels and additional channels are possible upon request.